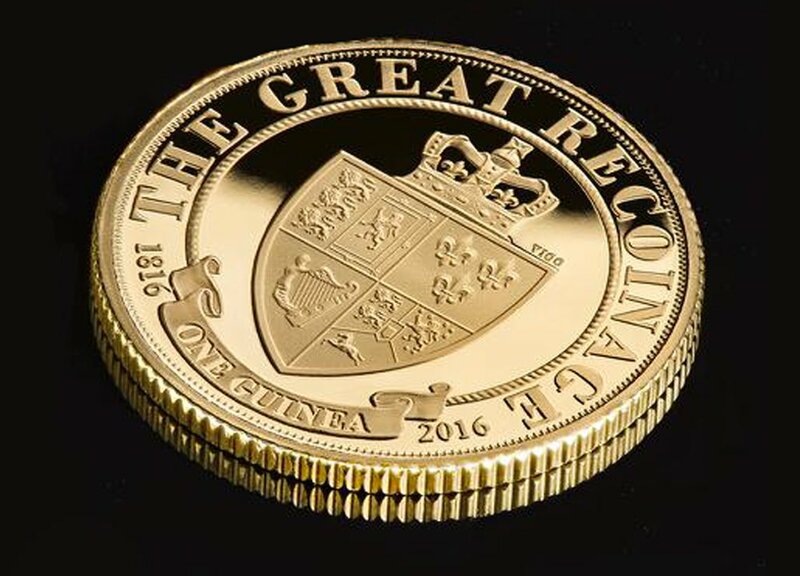 Minted to mark the 200th Anniversary of the Great Recoinage in 2016 a new Guinea has been issued. 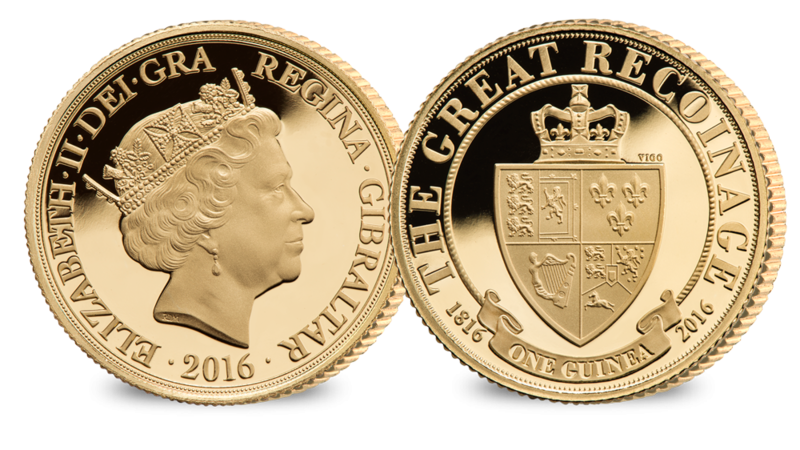 The coin includes a VIGO mint mark in tribute to the most famous and valuable Guinea coin – The 1703 Queen Anne VIGO 5 Guinea. So called because of their VIGO privy mark denoting the coins were struck from gold captured from the Spanish bullion fleet. Fittingly today this 200th Anniversary Guinea is struck in Gibraltar.